I am a big believer of saving money wherever it’s possible. Unfortunately, weddings and money-saving usually don’t go hand in hand. So when Flyrobe initially came up on the scene, I was jumping with joy. You see, for an average middle-class community, spending a bomb on an outfit is not the easiest thing to do. What makes it worse is the fact that Indian Weddings usually have a minimum of 3-4 elaborate outfits needed for the bride. Minimum I said. So what should a budget bride really do? Back in 2015 when I was looking for my wedding lehenga, I had a budget of 30k. Not that I ever wanted to spend 30k on an outfit, I have far more occasions to burn that kind of money at. But still, call it social pressure, my own inhibitions.. all of it…I settled on an outfit which at that point was my best option. Don’t get me wrong, I love my outfit…but did it feel like succumbing to pressure. Oh totally. Coming to the present, things are different. I think everyone around I speak to realizes that if you don’t have that kind of cash to burn, it’s a smart option to rent. Let me tell you, all that wedding jazz, it goes away after some time. All you’re left with is a big bag of your wedding outfit waiting to be stashed away in a corner never to be looked at again. Happens to the best of us. I mean do you seriously think, you want pictures again in your same outfit at your sister/brothers wedding. I don’t think so. So, keep that in mind, and check out all the awesomeness that you can have at almost 1/10th the price. Live your life, wear the most expensive designer lehenga you had always wished to wear, look like a million bucks, and don’t hold any regrets. Like I do. #1 You can wear an ORIGINAL Sabyasachi. No first copy will ever give you that satisfaction! #2 You can pretty much rent out your entire set of wedding outfits under 50k ! Seriously !! #3 The staff is super sweet. Unlike those lehenga store chaps. You know who I’m talking about, right? #4 You will easily spend 3-4 hours looking at the beauty all around. 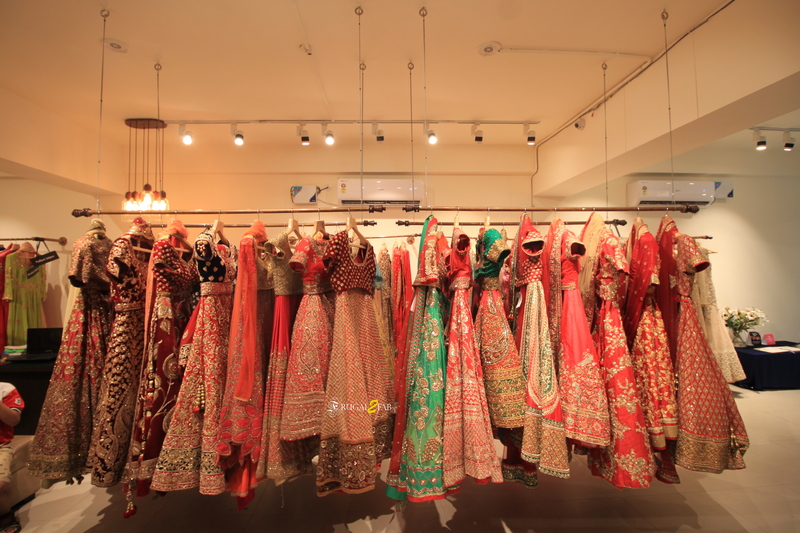 #5 There are, simply put – A gazillion Lehengas to try ! #6 20-30 designer labels under one roof at 1/10th the price. #7 You won’t feel intimidated because everything will fit the budget. #8 They have gorgeous grooms-wear outfits too ! #9 Pastel Lehengas, Yes. Pop Colors, Yes. Pre-Bridal, Yes. Bridal, Hell Yes !! #11 Its a one stop shop. Jewellery, Juttis, Outfits all in one place. What do you think about the Flyrobe collection? Would you be willing to rent your Wedding Outfit?